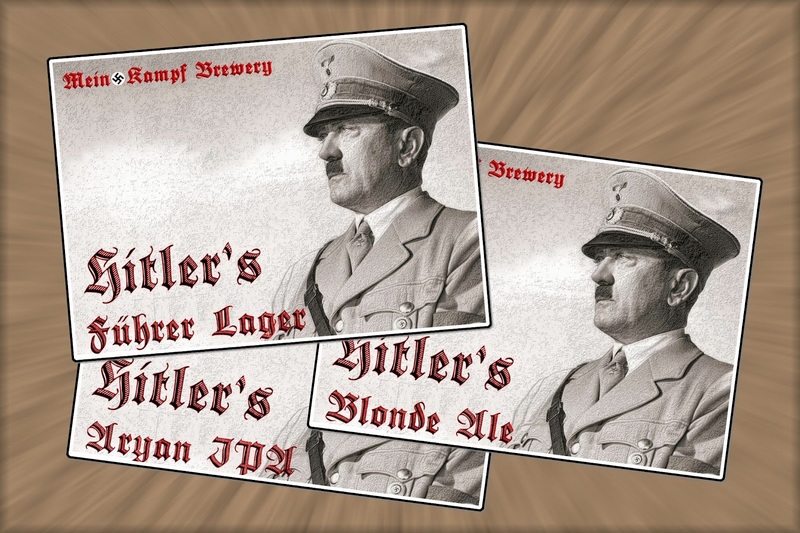 Then to add insult to injury, Mein Kampf Brewery have named their three beers, Hitler's Führer Lager, Hitler's Blonde Ale and Hitler's Aryan IPA. "We have no affiliation with the Nazi party and are firmly against everything they stood for," explained Blake Sumpter, brewmaster and co-owner of the brewery. "We were looking for a name which would make us stand out from the hundreds of micros in the state." Mission accomplished! They are also well on their way to getting more free advertising than they could possibly handle. Whether people can see beyond the blatantly offensive Hitler references and give the beer a chance is another matter. 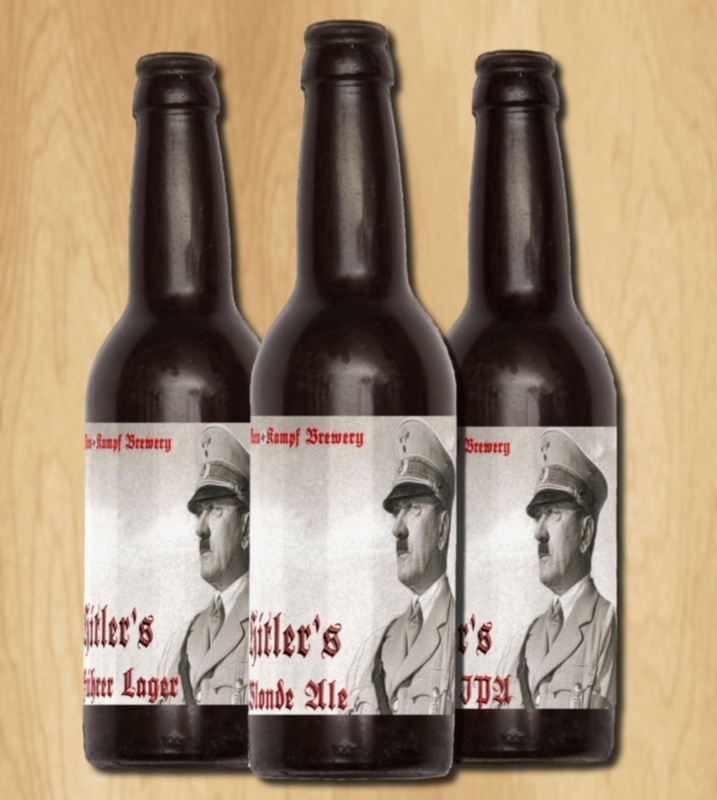 Unfortunately, we have not tried any of the beers and cannot give an opinion regarding the taste or quality, however as part of their publicity package, Mein Kampf did send us some tasting notes. This is not the first time that a brewer has upset people by linking their beers to famous (or infamous) people. Back in August 2010 we reported on the range of Harry Potter Beers from Limpecker breweries which upset MADD due to the obvious connection to a character from a children's book and series of movies. Only time will tell whether the bold labeling decision and the whole genocidal maniac connection will make or break Mein Kampf brewery. Either way the beer is going to get a fair amount of attention and Blake and his brewery partner, Mike Campbell will get their 15 minutes of fame. 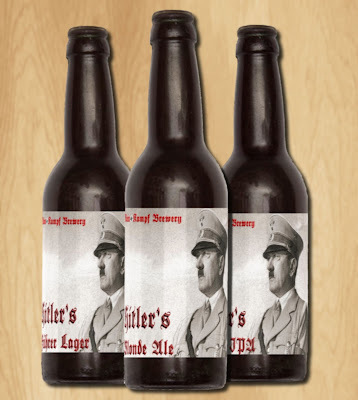 Would you buy Hitler Beer if a friend recommended it, or would you boycott it entirely based solely on the name and packaging? I can only imagine that Hitler Beer tastes like Nazi piss...which probably tastes like sauerkraut and bratwurst.